I use the term 'coolest' loosely here as we showcase the top 20 Coolest and Most Expensive Celebrity Cars of 2018. Yup, that's right, the rich and famous are at it again, showing off their wealth in a variety of tastes and styles as they pimp their rides. So to speak. Fair warning, though, much of what you're about to see certainly falls within the bounds of 'wealth doesn't buy taste'. 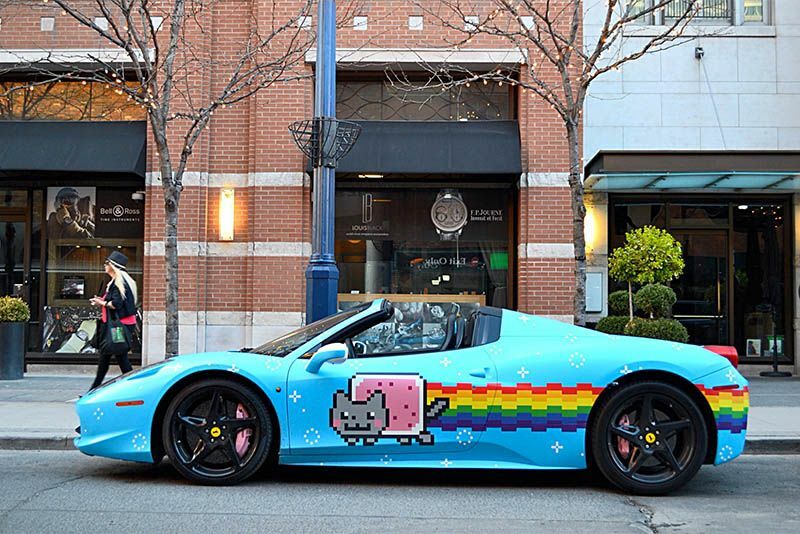 Yes, it's all objective, but Justin Bieber's leopard-print R8 makes my eyes bleed and the 'Purrari' wrap on the Ferrari of Dead Mau5 (whoever that is), feels like pure sacrilege. Maybe I'm just too old to get it. Fortunately, there really are some cool cars on this list, like Jerry Seinfeld's Porsche 959 and the 1966 Batmobile that belongs to Dwyane Wade. So, it's time to decide for yourself whether or not these really are the 20 Coolest and Most Expensive Celebrity Cars of 2018!